When starting a new business, entrepreneurs need all the help they can get. 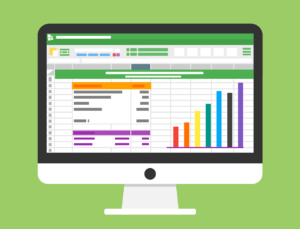 Christian County Library cardholders have free access to powerful online resources that can assist with starting and operating a business or non-profit organization, and help businesses and organizations gather detailed and accurate data on community demographics. The first, Small Business Resource Center, is a free online database that covers all aspects of starting and operating a business, including accounting, finance, human resources, management, marketing, tax, and more. Combining authoritative periodical and reference content, both novice and experienced entrepreneurs have the guidance and resources they need to jumpstart their business development plans. The second tool is Small Business Builder, a step-by-step online planning tool for starting, managing and optimizing a business or nonprofit. The program’s intuitive dashboard walks users through five areas of exploration to develop a business plan focused on long-term success, and even includes tools to help create a pitch deck to use in face-to-face meetings with potential investors and customers. ReferenceUSA is a premier online source of business and residential information for reference and research. It provides up-to-date, accurate, and complete data on millions of businesses and consumers in the United States and Canada. Businesses and individuals can use this tool to do market research, identify partners, or research competitors. It’s also useful for identifying potential customers based on interests, buying habits, and demographics. Lists of potential customers can be exported to help created targeted mailing lists. Lastly, DemographicsNow is an online resource that provides Christian County Library cardholders with access to robust and highly detailed U.S. demographic data. It is ideal for gaining consumer and market insight when opening a business, finding an untapped audience for products or services, analyzing the shifts and needs of a given population, and much more. DemographicsNow also allows users to easily and rapidly produce a variety of standard or customized reports that will help them make informed and accurate decisions. Christian County Library cardholders can access all three of these resources 24/7, on any device by clicking the links above, or visiting the library’s website christiancountylibrary.org then clicking on Research to see the full list of databases. Christian County Library will be holding a training session soon on the tools in cooperation with the Ozark and Nixa Chambers of Commerce, or individuals can take advantage of the library’s Book-a-Trainer program for a free one-on-one appointment with a library technology trainer to learn how to use these resources. For questions or more information, please contact Katy Pattison at (417)581-2432. Library cards are free for all Christian County residents.